At the M0XXT/M9X station we use 2 ACOM 2000 Amplifiers, these are excellent amps and importantly they have the capability to be computer controlled. 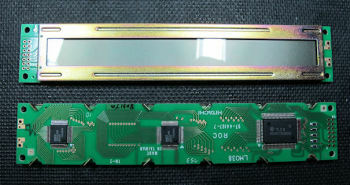 However there is a distinct lack of software that will allow you to control the amplifier from the computer. I believe this is mainly due to the somewhat complex control protocol that ACOM used for the amplifier. As i am a sucker for a good challenge i decided it was about time someone figured the control protocol out properly and produced some software. 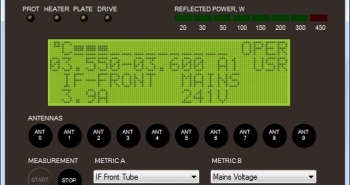 I will shortly be releasing the beta version of the ACOM Director software, initially this replicates the main functionality of the ACOM 2000’s RCU however once the kinks are worked out of the control protocol many more features will be added, including the ability to remote control the amp over a network or the internet. I will also be providing full documentation on how the ACOM 2000 control protocol works so that others are able to work with the amplifier if they need to. 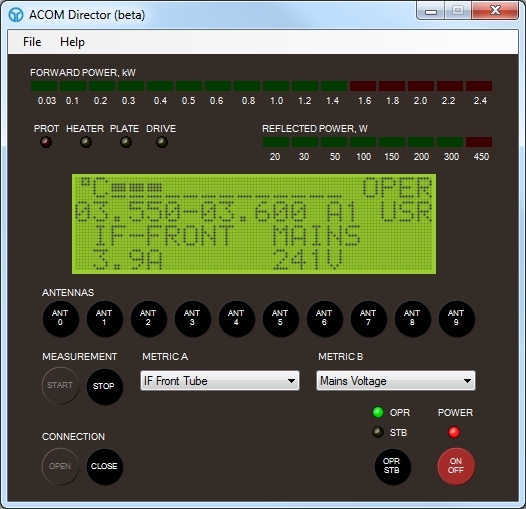 For the time being here is a screen shot of the current pre-beta ACOM Director software. Everything you see in the screenshot is fully functional.